Paul is an experienced professional with an extensive background in government affairs, policy development, and grassroots campaigns. Prior to joining CIG he served as a Legislative Liaison at the New Jersey Department of Education, where he specialized in legislative analysis and strategic outreach with stakeholders, policy professionals, and members of the State Legislature. In addition, he served as a voting member representing the Department on the Executive and Eligibility Appeals Committees of the New Jersey State Interscholastic Athletic Association, and on the Governor’s Council on Alcoholism and Drug Abuse. He also served as a Policy Advisor in the Office of Governor Chris Christie, where he provided research and guidance on issues pertaining to education, healthcare, public-private partnership initiatives, and liquor licensing, production, and resale. Paul is a current Republican County Committeeman in Monmouth County, and has served as the Chairman of the Monmouth County Young Republicans. Additionally, he also currently sits on the Board of Trustees at Brookdale Community College. 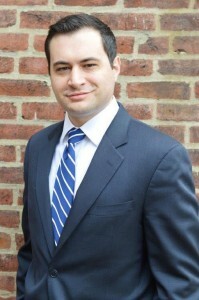 Paul earned his Bachelor of Arts in Political Science from Villanova University, a Master of Public Policy with a concentration in Legislative Advocacy from the Edward J. Bloustein School of Planning and Public Policy at Rutgers University, and was granted a fellowship at the Eagleton Institute of Politics.